Companies hope to stay protected from the latest threats by spending big on security in 2018, Gartner forecasts claims. Businesses are set to make 2018 a record year when it comes to security spending, Gartner predictions have forecast. In its latest report, the analyst firm forecasted that security spending will top $96.3 bllion in 2018 - an eight per cent increase from this year, as companies aim to safeguard themselves against the growing cybersecurity threat landscape. 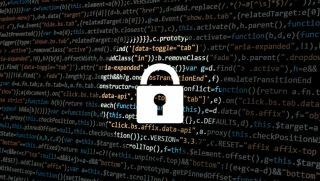 "Overall, a large portion of security spending is driven by an organisation's reaction toward security breaches as more high profile cyberattacks and data breaches affect organisations worldwide," said Ruggero Contu, research director at Gartner. Gartner's forecasts also predict that businesses will be spending more on testing and event management in order to make sure they don't fall victim to a security breach. The form estimates that by 2020, more than 60 per cent of organisations will have invested in multiple data security tools such as data loss prevention, encryption and data-centric audit and protections tools, up from approximately 35 per cent today, as the focus shifts towards detection and response. And with the GDPR deadline less than six months away, increased regulatory scrutiny is also affecting how businesses protect their data. But with skill sets lacking in many countries, businesses will need to work harder than ever to attract and recruit the right talent - with Gartner also predicting that this change in the landscape will lead to a growth in spending on security outsourcing. "Skill sets are scarce and therefore remain at a premium, leading organisations to seek external help from security consultants, managed security service providers and outsourcers," Contu added. "In 2018, spending on security outsourcing services will total $18.5 billion, an 11 per cent increase from 2017. The IT outsourcing segment is the second-largest security spending segment after consulting."